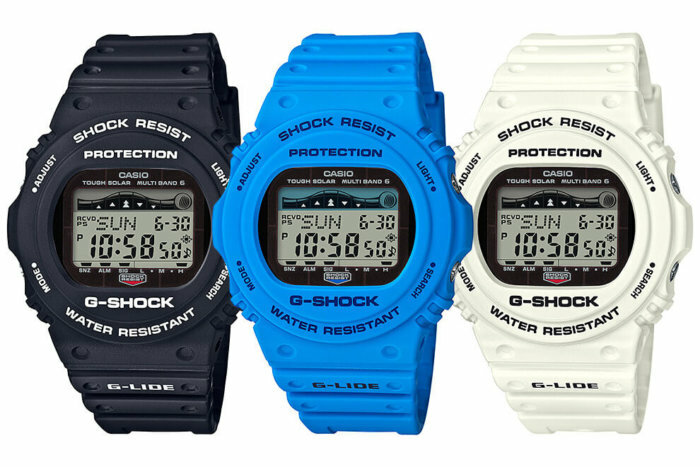 The new G-Shock G-LIDE GWX-5700 series will make its debut in Japan in May 2018 with the release of the black GWX-5700CS-1JF, blue GWX-5700CS-2JF, and white GWX-5700CS-7JF. 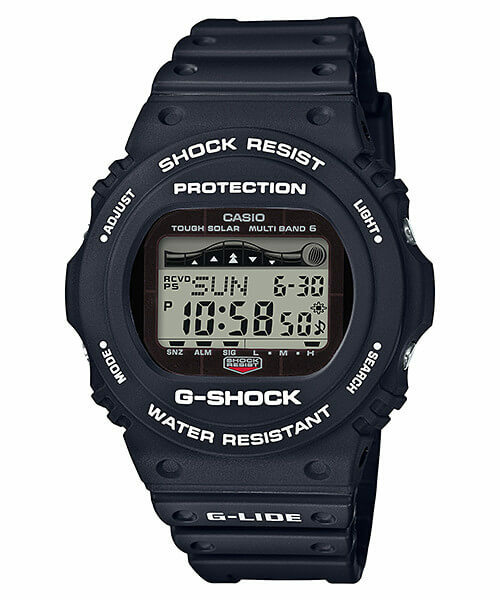 This series features Tough Solar power and Multi-Band 6 radio time syncing, an upgrade over the current DW-5750 series. 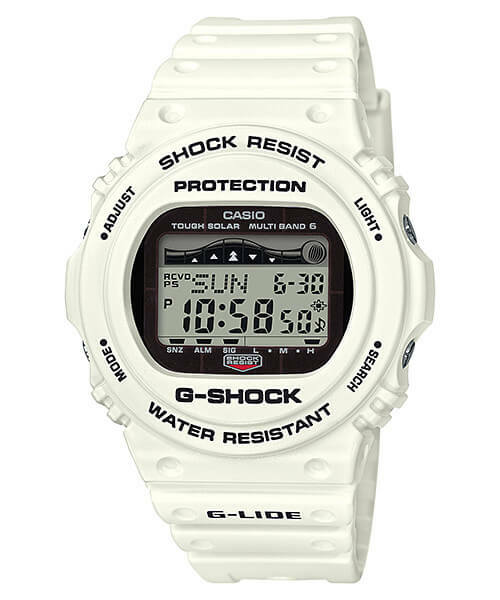 As part of the surfing G-LIDE family, the GWX-5700 also has a tide and moon graph. This is not the first solar-powered 5700 model but it is the first with Multi-Band 6 and a tide graph. 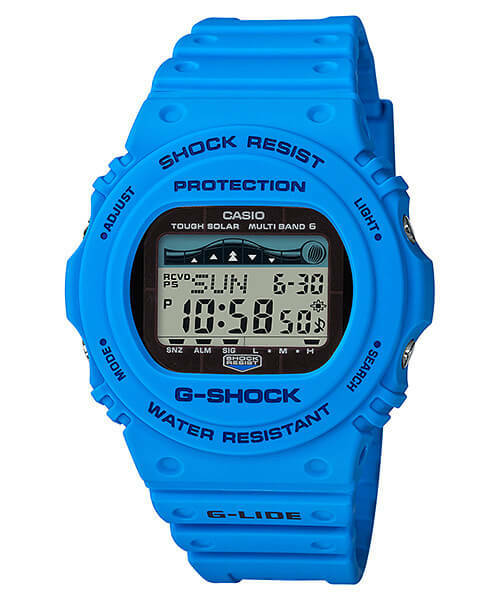 The GWX-5700 has a relatively slim profile at 14.2 mm, making it a practical choice for surfers and athletes. 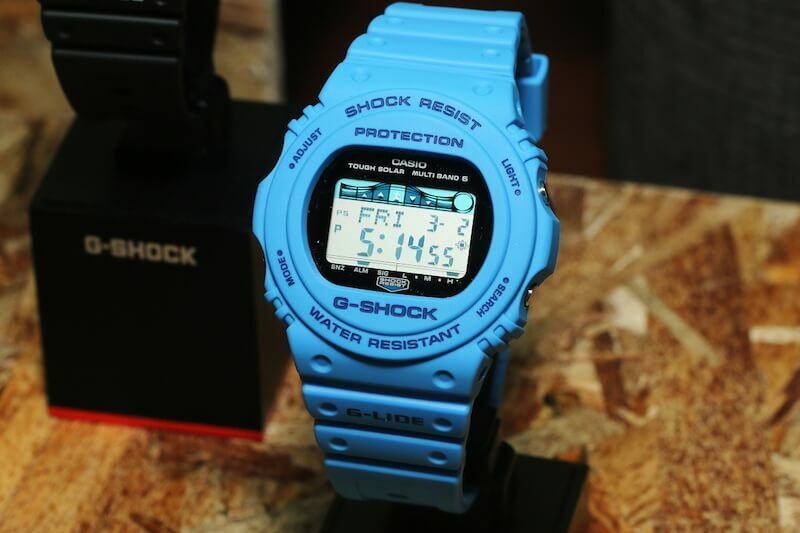 Other features include world time, 1/100 second stopwatch (60 minute total with split), timer, and full auto EL backlight. 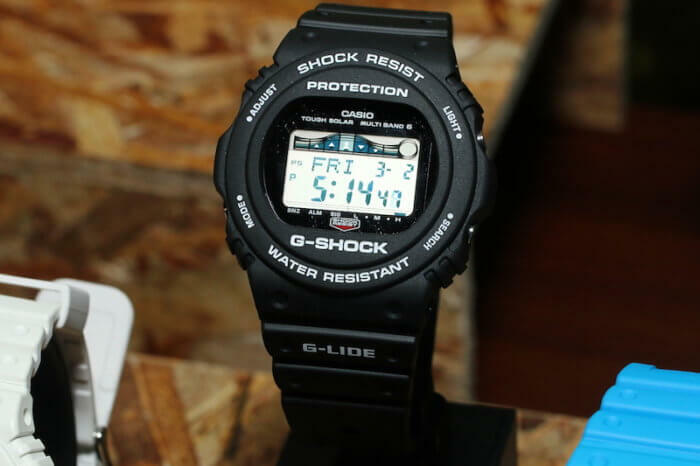 The timer feature can be setup for 2 sets of time (up to 99 minutes 55 seconds) and the measurement times can be set from 1 to 10 times, a handy feature for events like surfing tournaments. Like the DW-5750, the GWX-5700 is based on the DW-5400 from 1984 and the DW-5700 from 1987 which were the first G-Shock watches with a round face. The GWX-5700CS models have a list price of ¥22,000 JPY. 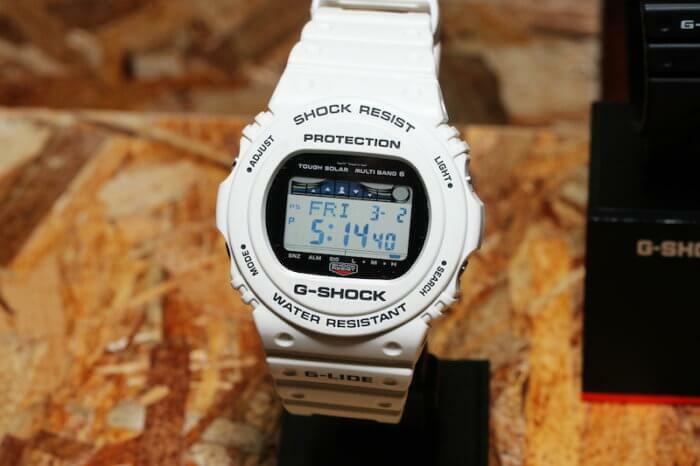 Update: The GWX-5700CS-1, GWX-5700CS-2, and GWX-5700CS-7 are also May 2018 releases in Asia.